When you are preparing for your next datacenter construction project, whether it is your first time or you have built datacenters before, you probably know that the construction team you choose can have a big impact on the outcome of the project. In fact, the construction team you choose is one of the biggest factors that determine whether your building project is a success, completed on time and within budget, or whether it’s a financial or operational disaster. To hire a good construction team, consider these factors. Find a trustworthy company. Your data center is going to house some of the most important—and probably some of the most expensive—pieces of equipment in your entire business. Not only is the equipment very specialized and imperative to keep running in tip-top shape, but the volume of sensitive data that may be contained in the servers you install in your data center is equally valuable. If you cannot trust the datacenter construction team to be strict about the quality of the data center, there are many things that can go wrong. The building itself must be high quality to ensure that it does not fall apart. 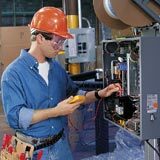 In addition, if the construction team is not paying attention to detail, you may end up with faulty wiring, an inadequate cooling system, or some other problem that can damage the equipment inside. Be firm about deadlines. Choosing a company that can complete your project in a timely manner is a worthwhile investment when you are preparing for your datacenter construction. Delays in the timeline of a project can be frustrating, not only because they delay the time before you can use your data center to its fullest potential, but also because they can be very costly. Check the track record of the construction crew you are hiring to find out if they consistently complete projects on time, or if they have a habit of cost and time overruns. Save money with a quality construction crew. Because datacenter construction projects tend to be costly ventures for any business, it is often difficult to convince upper management that it’s a necessity. In some cases, even if management signs off on the project, they want to find the least expensive option for doing it. It is always a good idea to shop around and find an affordable company, but keep in mind that just because a company is charging the lowest price does not mean they are the best deal. Be sure that with the price you pay you are getting the highest quality construction, otherwise you may end up having to pay even more later to fix mistakes from low-quality work. Get it done right the first time. Check out each company’s track record to make sure that their prior clients are satisfied and received quality, accurate work. Companies that can complete your project to your exact specifications the first time will always save you money and time over datacenter construction companies that do it wrong and have to keep coming back to fix it. Constructing a great datacenter is an essential part of your business, and finding the right construction crew to build it just the way you need it is equally important. Using these tips, you can find the best construction team and be on your way to a new datacenter. This entry was posted in computer room construction, Computer Room Design, computer room maintenance and tagged computer room cooling, computer room maintenance, Data Center Construction, data center facility services, data center maintenance. Bookmark the permalink.